Isaiah 21:6: "Go Set a Watchman"
Harper "Nelle" Lee, now 89, has published a second book. Her first, To Kill a Mockingbird, is considered a classic of American literature. 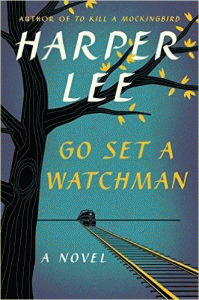 Her second, Go Set a Watchman, arrives this week as a timely gift. It reaches readers as our first African American president continues in the final two years of his presidency. The new book draws its title from Isaiah 21:6, the King James version, of course, for this is a writer from southern Alabama who grew up in a Methodist church, where King James is sacred. "For thus hath the Lord said unto me, Go, set a watchman, let him declare what he seeth." In the early weeks of his presidency, Barack Obama tried to heed Isaiah's biblically-rendered counsel. President Obama appointed Ambassador Chas W. Freeman, Jr., to an important office. A veteran diplomat, fluent in Arabic, and deeply sensitive to the politics of the Middle East, Freeman was ready to report to this new president "what he seeth." So powerful is the Zionist grip on the Congress, and so all encompassing is the octopus-like tentacles grip the Jewish lobby maintains on American cultural elites, Freeman was doomed from the outset. He withdrew his name as a possible appointee. Freeman (above) ran into the third rail of American politics. He had accumulated enemies in governing circles, enemies who were in place to keep a new president close to the Zionist line and ever protective of the modern state of Israel. Freeman had his supporters, of course. "There are very few former senior diplomats as experienced and geographically well-rounded, knowledgeable, entertaining (in a mordant sort of way), accessible (until now at least), and verbally artful as Freeman. 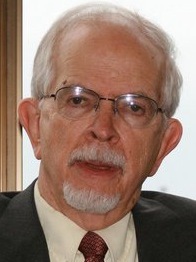 "He can speak with equal authority about the politics of the royal family in Saudi Arabia (where he was ambassador), the Chinese Communist Party -- he served as Nixon's primary interpreter during the ground-breaking 1972 visit and later deputy chief of mission of the Beijing embassy, and the prospects for and geo-strategic implications of fossil-fuel production and consumption over the next decade or so." Freeman is still needed at the White House. Meanwhile, he continues to lecture and publish essays that reach a wider audience than that of the lecture hall. He continues to function as the watchman. He tells the nation what he "seeth." He most recently spoke in Sarasota, Florida. His lecture has been posted online.